Businesses thrive through successful networking. With the emergence of technology, the burden of networking has become an easier load to carry and paradoxically, more difficult. 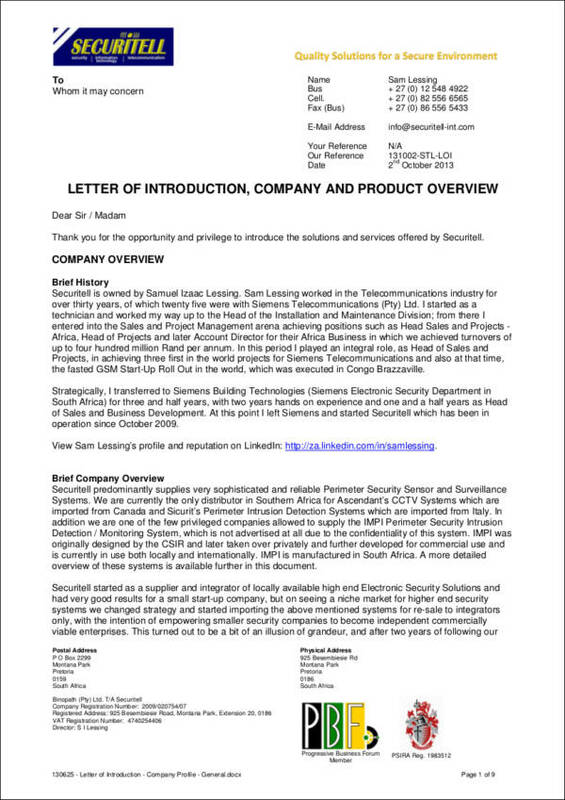 You may also see Introduction Letters. 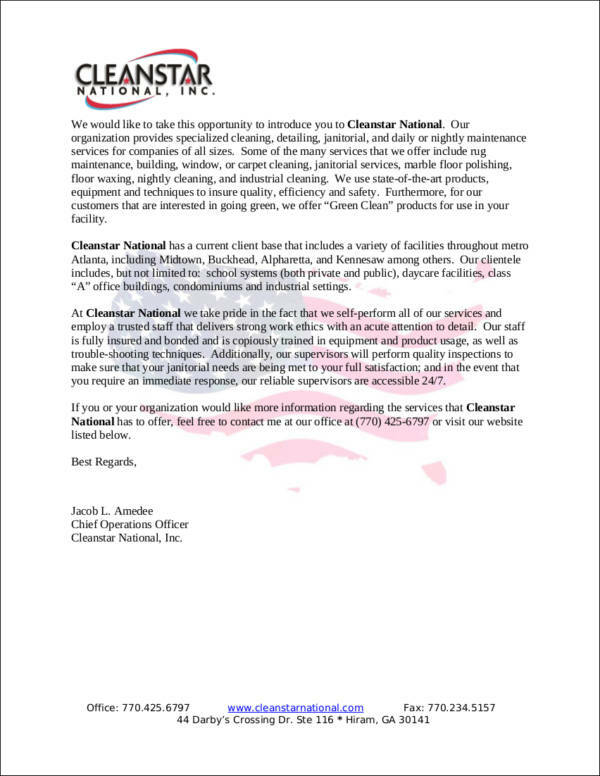 This is because technology and social media platforms make it easier for new businesses, ergo competitors, to market their products and services through this advanced medium of connecting with potential clients, partners, and investors.That is why, as a business owner or manager, it is your responsibility to network successfully despite the white noise that your competitors are making. 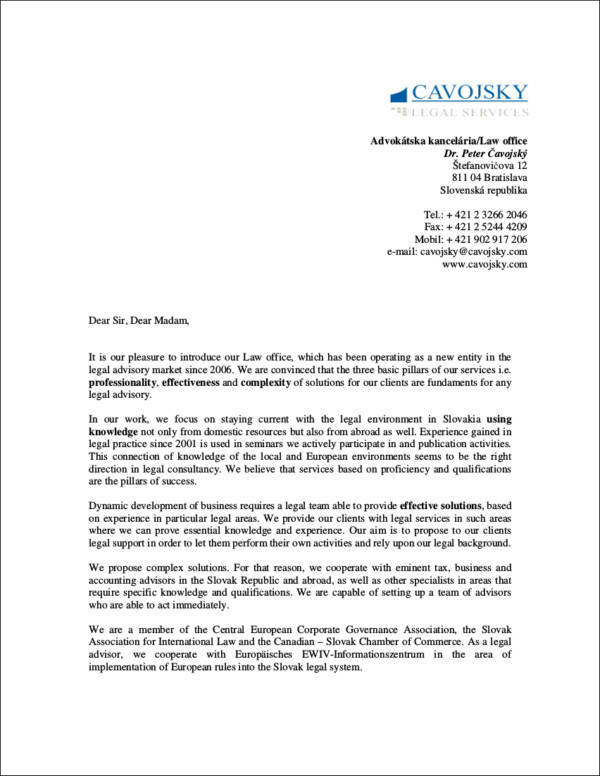 One of the most effective methods in garnering potential investors and clients is through business introduction letters. 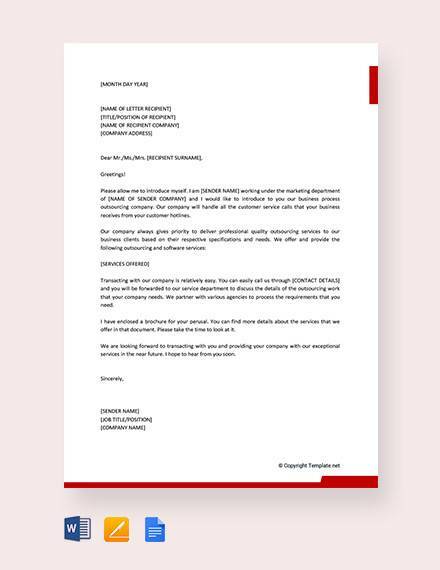 By sending a business introduction letter, you are able to present the benefits that your recipient can glean from engaging in your business. This allows you to personalize your approach in magnetizing each client’s interest. 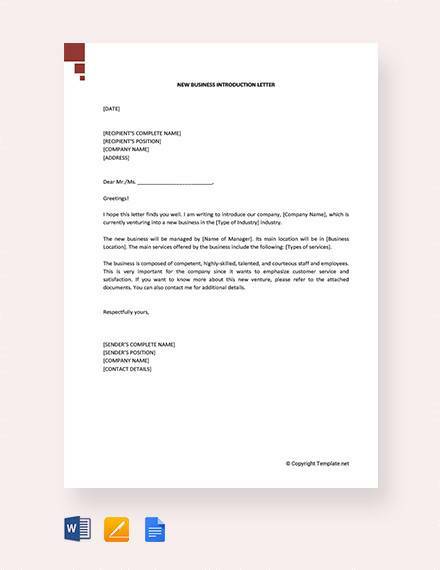 A business introduction letter that is specifically fabricated for a specific investor or client would be able to effectively gain their interest and willingness to engage in your business. 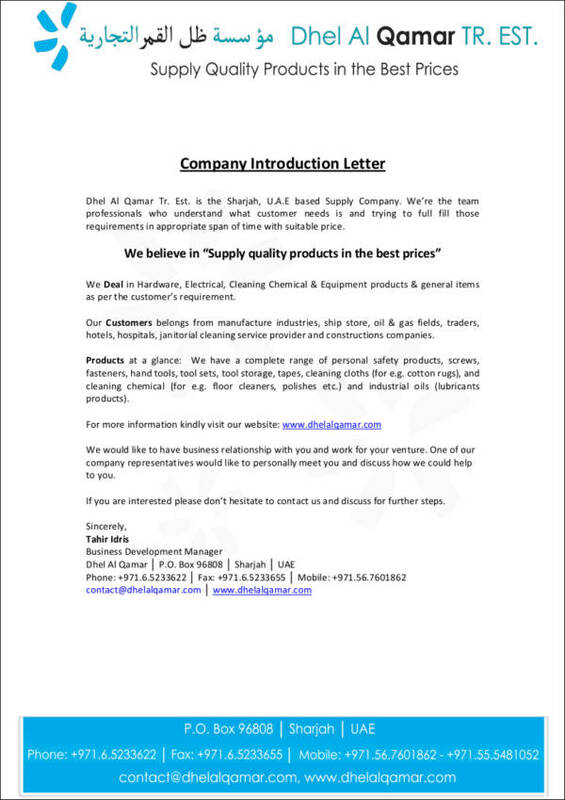 The act of writing a business introduction letter is not an easy task. 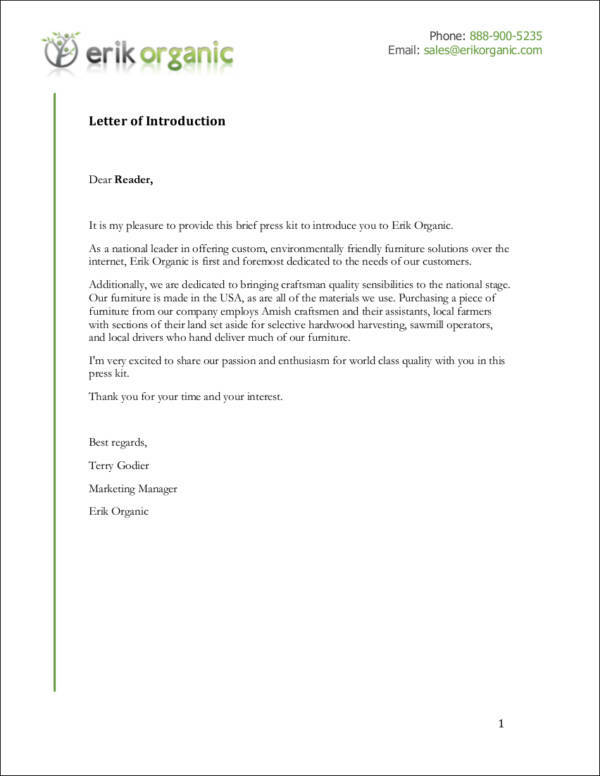 We are here to give you a comprehensive guide on how to write an introduction letter that is effective. 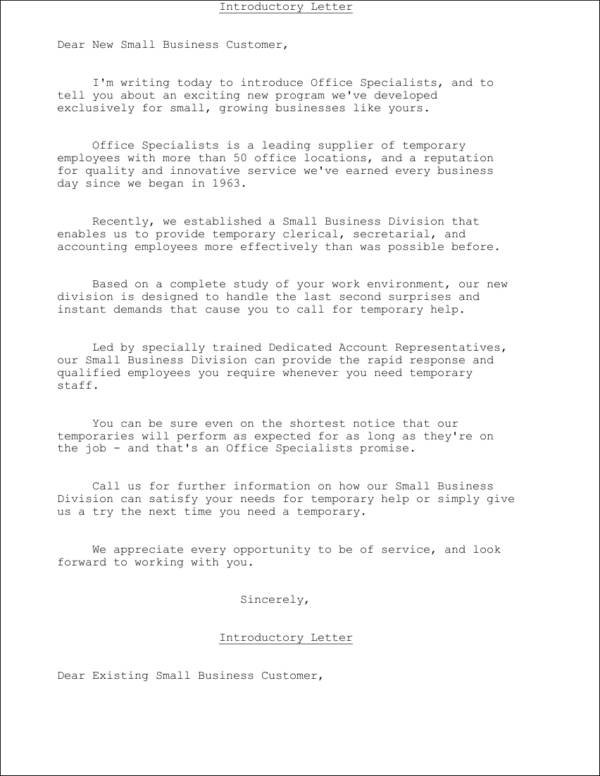 Read on the quick tips we give you and download the business introduction sample templates. 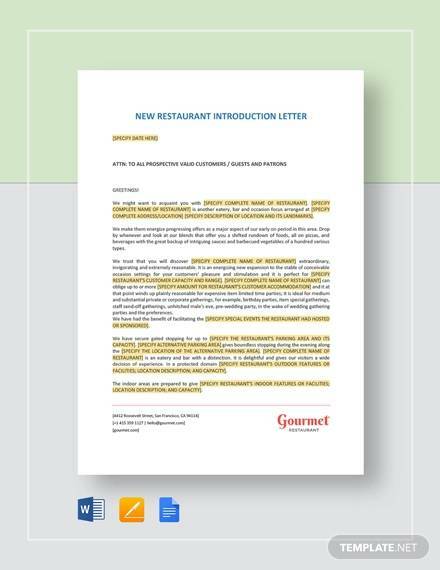 For your letter, print it on a letter size paper (8.5 × 11 inches). Set your letter’s margin to 1 inch on all sides, except for the top side, which must be 1 1/2–2 inches. Choose a legible font size. The advisable size ranges from 10–12. Make sure that all the letters are of the same font size. As for the font type, you can choose anything that looks presentable and formal. You can use any font from the Serif family. The safest option would be Times New Roman. Start your letter by writing your return address. 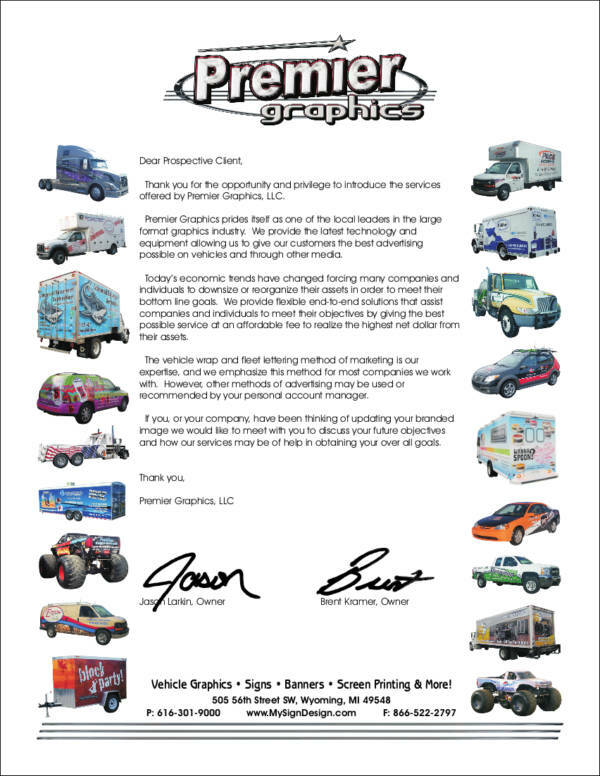 If you have a personal letterhead or company letterhead, you may use it. 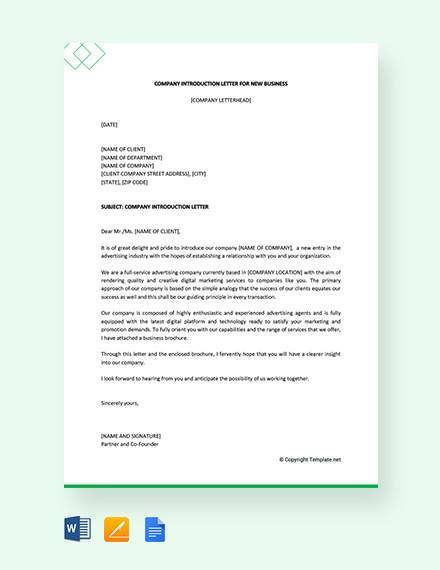 After your letterhead, leave a space then write the date you are sending your letter. Below the date, leave another space. Then write the contact details of your recipient. 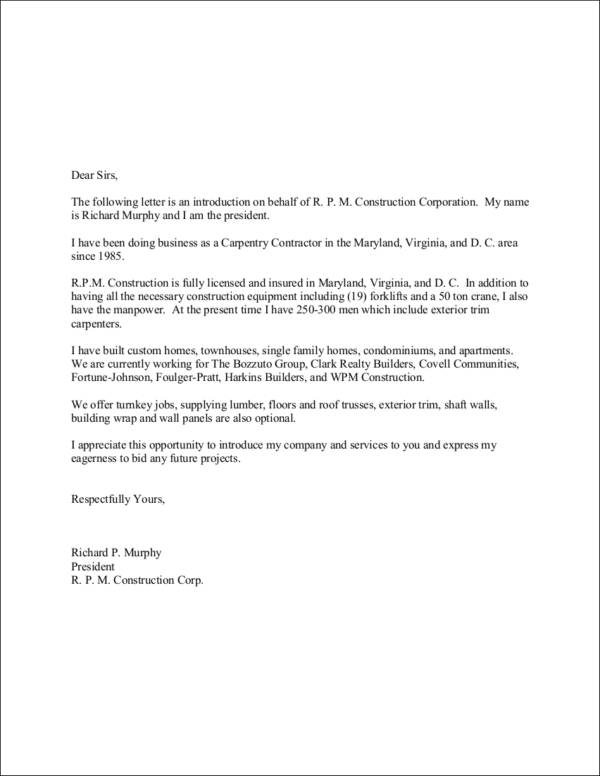 You may write his/her full name, designation in the company, name of the company, and address. When you are done writing the heading, go ahead and start your letter with a polite salutation. 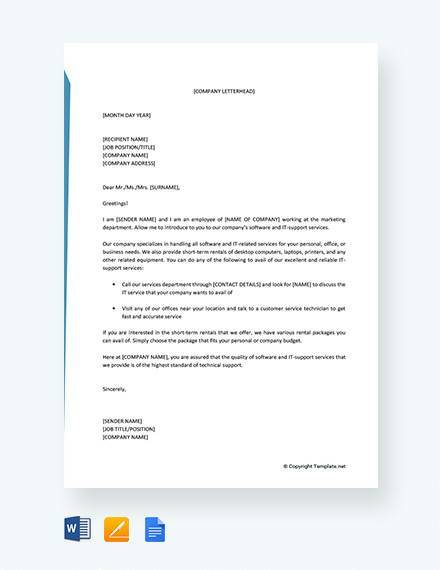 Conclude your letter with a polite remark and don’t forget to affix your signature above your name. 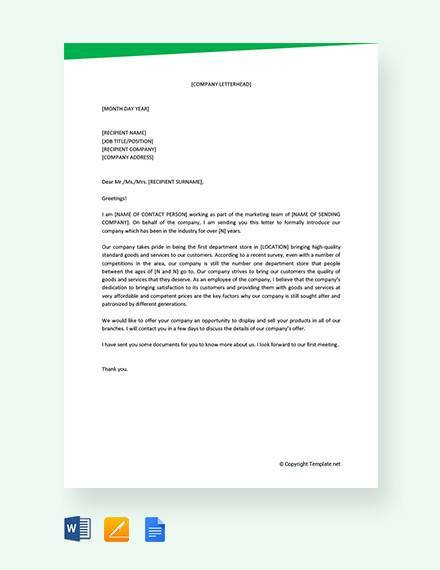 In order for you to write an effective business introduction letter, you have to determine first the need that has driven you to write one in the first place. Identify and strive to define it in specific terms. When you have understood what the goal of your letter is, you can then analyze the specific arguments you can present in order for your letter to appeal to your recipient. An understanding of your letter’s aim is essential before you can write it. Start your letter with a strong introductory paragraph. You may do so by displaying an understanding of your recipient’s needs. Narrate how your letter can successfully provide a solution to our recipient’s need or needs. Also, don’t forget to provide a brief overview of the nature of your business or profession if you are a freelancer who is advertising freelance services. After determining your recipient’s needs, present a solution that is the true essence of your letter. Write it in a way that can convince your recipient that engaging with your business is the best strategy for them to satisfy their needs. 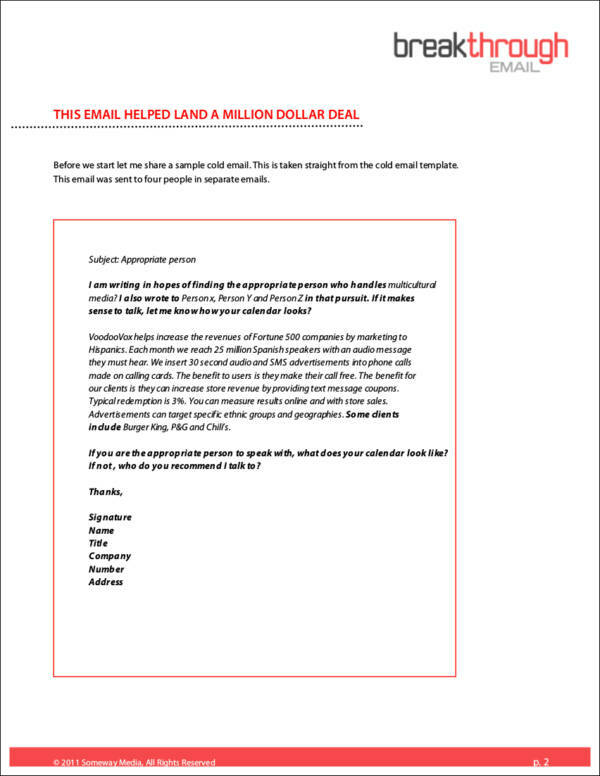 Be clear and direct when telling your recipient how the thing, product, or opportunity you are offering is the perfect answer for the perceived need you mentioned in the introductory part of your letter. Make sure that what you are saying is factual and that you are not merely spouting exaggerated words that you would not be able to live up to or perform. Don’t forget to provide your recipient with all the necessary information he/she would want to know about what you are offering him/her. Failure to provide your recipient with all the essential information may lead to confusion and subsequently, inaction. In other words, your letter may not receive the response you are hoping for due to its vagueness and lack of specificity. It is not enough that you would merely enumerate all the details of your offer. You have to provide your recipient with information that they can digest easily. You can do this by arranging the information you are presenting in a comprehensible and well-arranged manner. Start from the most important information to the least. If you can, utilize bullets, numbers, and even graphs to make your point easier to understand. 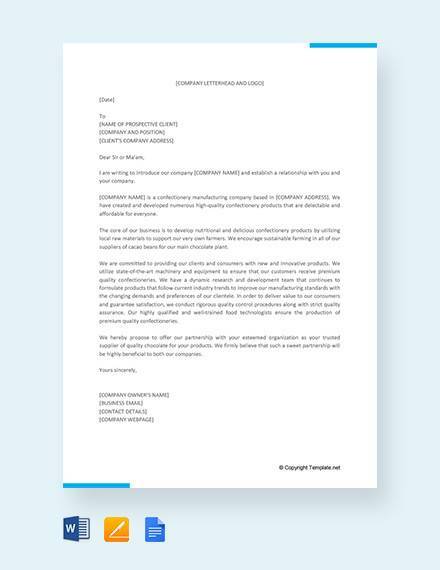 It is often the mistake of most businesses to write an introduction letter that fails to provide the recipient with sufficient information that they would have wanted to know in order to make a decision whether or not to engage in a business. The conclusion is the most crucial part. This is where you reiterate the important points of your introduction letter and where you assertively and unobtrusively request your recipient to perform a specific action. Discuss in what manner you would wish your recipient to respond to your letter’s content. 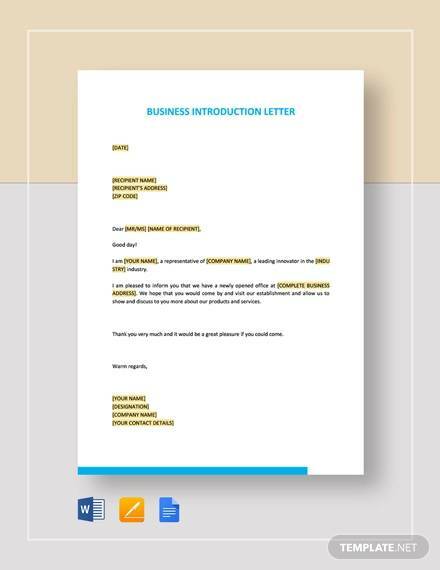 Now that you are equipped with the basics of writing a business introduction letter, go ahead and write one now! If you follow these simple tips, then you will be gaining new clients and investors in no time! What are you waiting for? 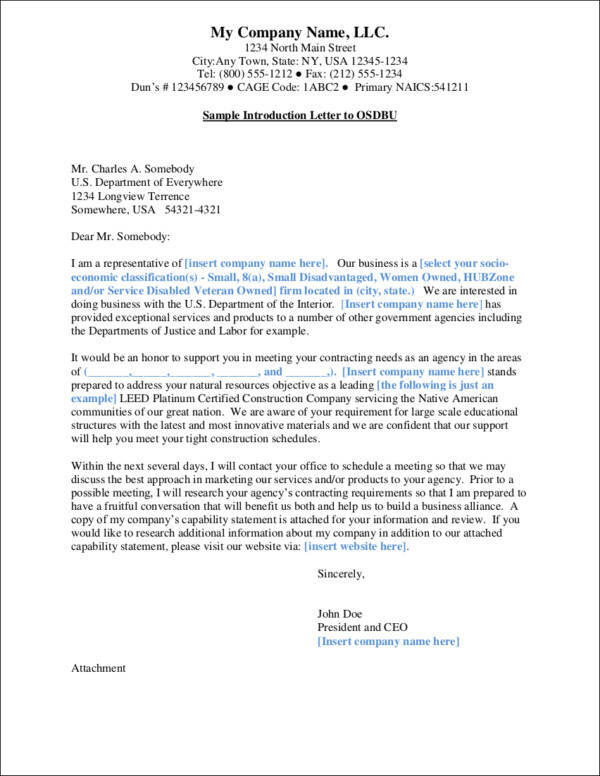 Enlarge your company’s network by sending well-crafted and appealing company introduction letters!